The race is on for a diamond summer as industry readies for tourists. Last year’s royal wedding became an important promotional tool for jewellers but 2012 offers two lucrative opportunities, with the Diamond Jubilee and Olympic and Paralympic Games set to bring millions of tourists – and their money – to the UK. Kathryn Bishop looks the key figures and brands already responding. This summer the Queen’s Diamond Jubilee and the Olympic games are set to have the tills ringing for retailers across the UK. And for jewellery retailers in particular there is the chance to cash in on tourists and patriotic Brits looking for a slice of memorabilia. The Government’s department for Culture, Media and Sport has said the effect of the Olympic Games will be felt long after they have ended and will be a “lasting legacy” for the UK, and with a view to consumer spend, several figures have already been put forward about the boost to retail sales that both could bring. Retail Economics, a firm that offers independent economic analysis to corporate clients across the UK, has forecasted retail spend in the region of £200 million in Q3 of 2012, driven by an increase in tourism as international visitors making the most of sterling’s weak position. Other companies, such as the Olympic Games’ sponsor Visa, offer that the spend from tourists during the Games could be closer to £750 million, with £700 million from overseas visitors alone. But have British jewellery retailers and designers taken the baton in their hands in the race to win Jubilee and Olympic customers? So far, many appear to have some preparations in place, from special products and point of sale to overseas exports. Over the past 12 months Links of London has become synonymous with the Olympic Games. It won the official London Organising Committee of the Olympic Games (LOCOG) sponsorship to be jewellery partner to the games in early 2010, debuting the first designs in its 2012 collection last year. 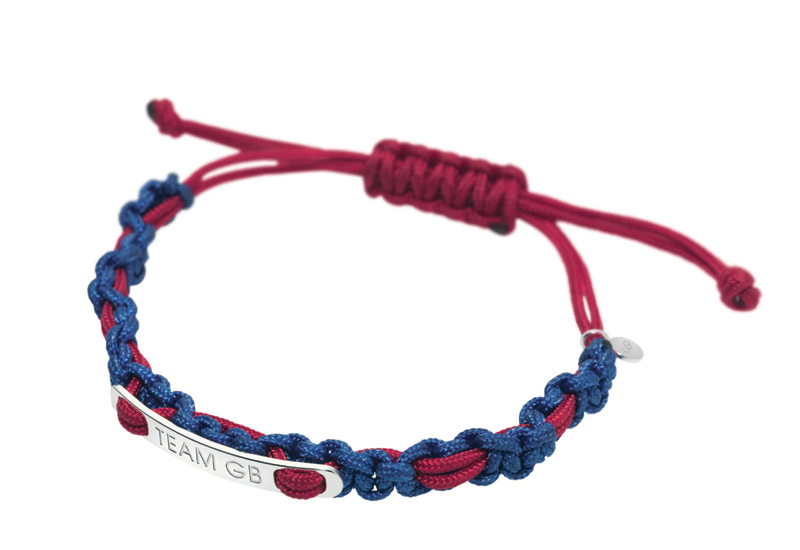 Now a much wider range of product is available, including charms based on sports such as swimming and table tennis, as well as money clips engraved with the 2012 Olympic logo and the official line of Team GB charms bracelets. All of Links of London’s 55 standalone stores and its website will sell both collections, while its 39 concessions and 190 wholesale partners are also likely stockists of the lines. Fellow British jewellery brand Tateossian has stores across central London, concessions in Selfridges stores in the UK and retail partners in countries such as Russia, Japan and the US. It has been busy with preparations for both the Diamond Jubilee and the Games, events that Tateossian founder Robert Tateossian has dubbed “huge milestones in history”. The brand has created a number of special silver products featuring the Jubilee hallmark as well as a range of friendship bracelets designed with the colours of the Olympic rings to commemorate the Games. “We expect that sales will undoubtedly increase with the higher footfall of people in London. However, visitors will be more conscious of getting the best value they can from products,” says Tateossian. Three-quarters of Olympic spectators are predicted to pass through the newly-built Westfield shopping mall close to the Games’ site at Stratford, but tourists are also expected to make the most of the weak pound by flocking to London’s West End, an area that includes Oxford Street, Regent Street and Bond Street. A study released in January and commissioned by New West End Company, an organization that oversees retailers in the area, offers that visitors from both home and abroad will spend an extra £16.6 million – an increase in 17.8% – in the West End in June and July this year as a result of both the Queen’s Diamond Jubilee and the Olympic Games. South Molton Street is a destination row of boutiques behind Oxford Street and a location where a number of jewellery retailers have taken residence. As well as Monica Vinader’s first stand alone store, it is also home to costume jewellery brand Butler & Wilson, Links of London, Calvin Klein watches and jewellery and Electrum Gallery, a specialist designer jewellery gallery. Electrum was founded in 1971 and has operated on the street for a several years. Its store manager Natalia Schroeder says that while it doesn’t expect to focus too heavily on the Games – “we’re going against the mainstream” – it hopes that the Diamond Jubilee will bring higher footfall, especially as it will host a special exhibition to celebrate the event. “We will be asking our silver artists to send in jewellery with a royal theme, whether it’s crowns or diamonds,” she says. Despite a heavy focus on London and the South-East jewellery brands and designers from other parts of the UK have been keen not to miss out on celebrating both the Diamond Jubilee and the Games. Welsh jewellery brand Clogau Gold hopes to capitalise on its royal associations as a follow-up to the success it had with last year’s royal wedding. 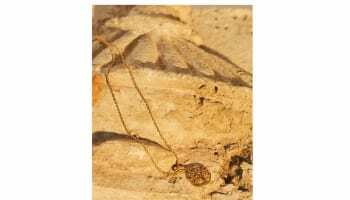 It has launched a necklace to celebrate the Diamond Jubilee that will be sold not only in the UK, but also internationally and in the US, where jewellery and memorabilia with a royal association has a strong consumer base. 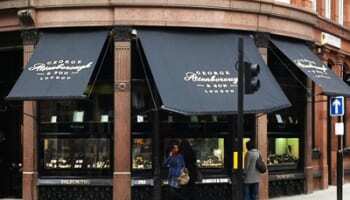 Sonia Menezes, brand manager of Clogau Gold, says its Diamond Jubilee collections will be sold across the UK and on several airlines during the celebrations. “Other Diamond Jubilee-related opportunities include special Clogau shows for QVC US and UK that will feature an exclusive Clogau Diamond Jubilee ring [while] a limited edition version of the Jubilee Pendant has been produced for Cunard ships,” Menezes adds. Diamonds have been central to creations by Hatfield-based Brown & Newirth and Leeds’ designer Andrew Geoghegan. Both have focused on the number 60 – representing the Queen’s 60 years on the throne – in the making of diamond rings. At present Geoghegan says he is unsure about the amount of retailers that will purchase the designs – he is still in the process of showcasing it to retail partners in the UK and Ireland – but he does see the Jubilee ring’s appeal as national as opposed to only being London based. “If the sales of its cousin, the Reveal ring, which is our best seller, are anything to go by the Jubilee will be a success,” he adds. While both events are a chance to promote Great British design and those brands working or founded on our shores, the Diamond Jubilee and Olympic Games also offer a number of export opportunities. UK Trade and Investment (UKTI) figures from 2009 suggest that the Olympic Games and the Diamond Jubilee could be a positive export opportunity for many British retailers and manufacturers. In 2009 the South-East had the highest export figures of any area of the UK, totalling £38 billion – 17% of the UK total. In 2010 London welcomed almost 15 million tourists; this year, according to the London 2012 website, the city expects to attract millions more visitors during the six week period in which the games will take place. Meanwhile, Bristol-based distributor Charms UK has added a collection of Union Jack jewellery to its Candy Bling range. Though it has promoted the product for the Diamond Jubilee, it has placed a heavier focus on the Games, gifting its bracelets to Olympic swimmer Rebecca Adlington and diver Tom Daley. Charms UK director Bob Adams says that reaching out to retailers has been a key marketing strategy for the collection and to ensure its success. Although he has 300 stockists for the products already, he has sent 1,000 fliers out to UK retailers and will be exporting the Union Jack collection to retail partners in Bermuda, the Cayman Islands and Australia. With a view to day-to-day retailing, however, the British Retail Consortium (BRC) has warned shop owners to be prepared for both events at all levels. The BRC’s director general Stephen Robertson warns that retailers need to have back-up plans in place – for example knowing if, when and how deliveries will take place, especially in central or east London, as well as preparing staff for disrupted routes, likely due to road closures and busier public transport. Sunday trading has also become a key issue for retailers and with last month’s budget opening the conduit for longer Sunday trading via emergency legislation, business owners may find that they need to budget for extra staffing and wages, while also weighing up the expense versus benefits of being open for longer hours over the eight-week period of the Games. The Chancellor George Osborne last month said it would be a “great shame” if the UK’s retailers were closed for business when there is an increase in shoppers in London from both the UK and overseas. At present, The Sunday Trading Act 1994 states that shops over 280sqm are restricted to any six hours of continuous trading between 10am and 6pm on Sundays, meaning some of the largest gift and souvenir retailers in Westfield Stratford, for example, could only operate within these restrictions. However while the changes will bring with them the promise of jobs – albeit many temporary positions – the Union of Shop, Distribution and Allied Workers (Usdaw) and some MPs have raised concerns over the legislation being a smokescreen for a future, permanent change to Sunday trading laws. Usdaw’s general secretary John Hannett said: “Deregulation would do little to stimulate growth or create jobs but would have a very detrimental impact on the lives of millions of shopworkers and their families. [It] would fly totally in the face of the Government’s commitment to be family-friendly." Faye Lovenbury, PR Manager for Signet Group, owner of high street multiples Ernest Jones, H Samuel and Leslie Davies has said that while the changes to Sunday trading are still in speculation the group make no formal announcement as to its trading hours. It is unlikely that the government will announce any definite legislation until Easter, providing brands and retailers with time to prepare. With the spend from tourism promising a boost to retailers, many would be forgiven for thinking that London and South-East will be the winners of the Diamond Jubilee and Olympic race. But Prime Minister David Cameron has urged areas such as the South West to get behind the Games, saying they have a lot to gain from tourism and Brits and international visitors holidaying in the region. Back in the capital however, Julia Carrick, chief executive of luxury British organisation Walpole, says luxury retailers and designers should make the most of their unique position. “With all the eyes on London this year, tourists will be flocking more than ever to own a piece of British heritage.” And indeed, with an estimated 5,000 jewellery retailers around the UK, that slice of £700 million is yours for the taking. Just don’t forget – the starting pistol has already fired. This article was taken from the April 2012 issue of Professional Jeweller magazine. To view a digital version of this issue online click here.